It's such a beautiful, lovely day outside! It really is a perfect Easter Sunday. I'm decked out in bright and happy colors and am ready to spend a great day with the people I love. And since I love all my Dolls too, I wanted to share a bit of the days happiness with you all in the form of The Happy Parcel! 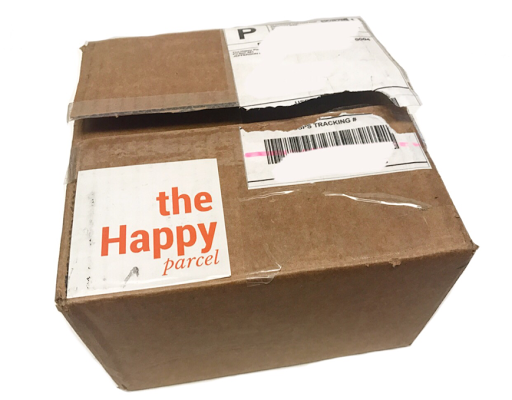 The Happy Parcel, who kindly sent me this box for review, is a brand new monthly subscription box focused on Healthy Living. 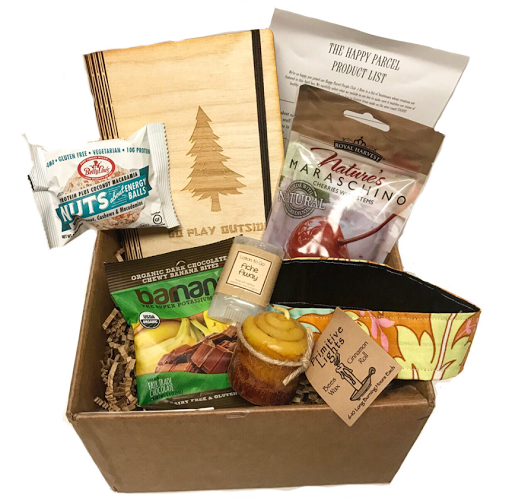 The cost is $34.95 per month and each box includes 6-8 West Coast made products that promote health, happiness, and a more inspired life. This box is absolutely filled with goodies! I'm loving what I see so far! 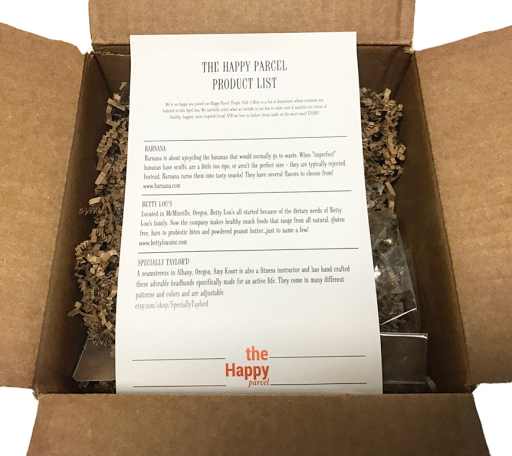 There's a very detailed information sheet included that lists each item you'll find in your box and a bit about the companies behind the products. 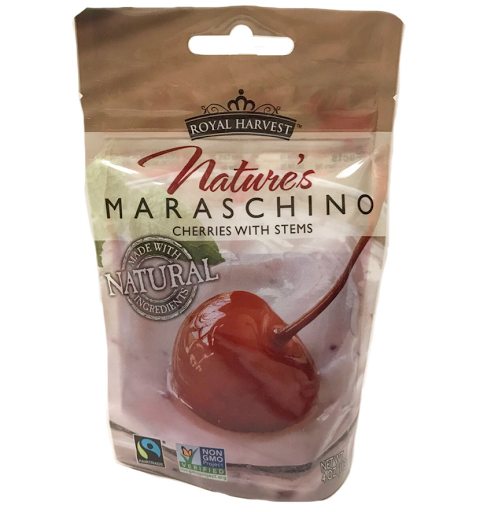 Oregon Cherry Growers Maraschino Cherries --- I love me some Maraschino cherries. These come from a co-op of family owned farms representing 100 growers in the Willamette Valley and along the Colombia River Gorge. 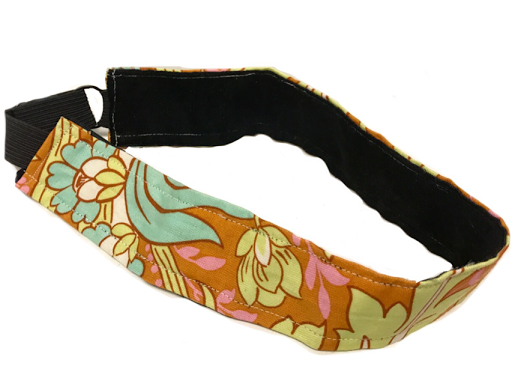 Specially Taylor'd Headband --- Hand crafted by Amy Knorr, a seamstress and fitness instructor in Albany, Oregon. Any designed these super cute and fun headbands specifically for active life. I love this one and I really love that it's reversible and adjustable! 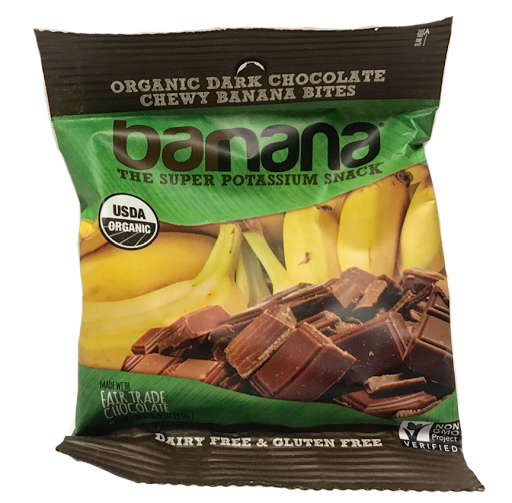 Barnana Chocolate Banana Bites --- I really really REALLY love these! Barnana is all about upcycling and uses the bananas that are visually unappealing and would normally be rejected to make tasty snacks. They've got the perfect bite to them and the flavor is fabulous! 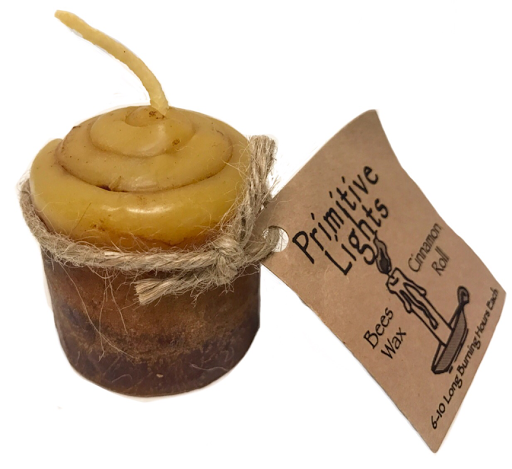 Primitive Pansies Candle --- this company in the Pacific Northwest specializes in natural, homemade items like candles, room spray, and other bath and body products. And let me tell you, Oh my God, this candle smells beyond delicious, it looks and smells just like a cinnamon roll. Rocket Laser Graphics Notebook --- I love it! 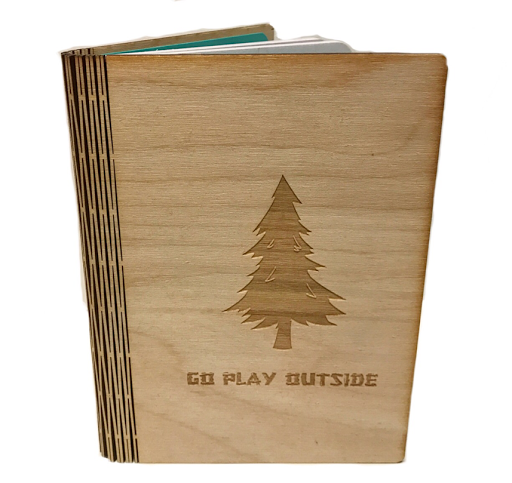 Made by a husband and wife team in Oregon that creates a variety of wood crafted, laser engraved items. It's so different from any other notebook I own and I just adore it. 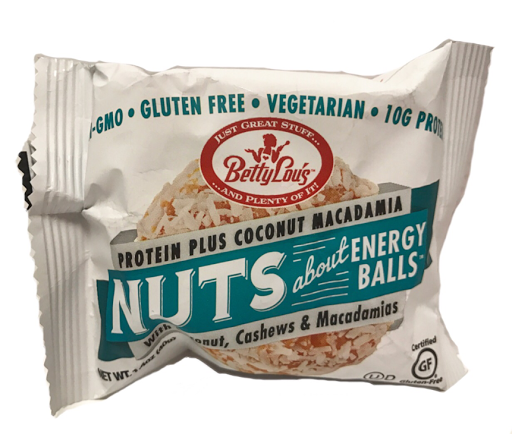 Betty Lou's Nuts About Energy Balls --- This company from McMinville, Oregon started because of the dietary needs of Betty Lou's family. They now make healthy snacks ranging from all natural, gluten free bars to probiotic bites and powdered peanut butter. I'm not to keen on this one but that's just my personal tastes! 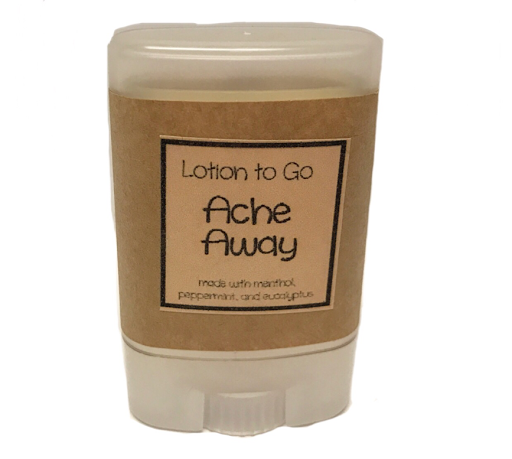 The Balm ETC Ache Away Lotion --- The Balm ETC crafts natural, homemade products ranging from Lip Balm, body butter, face masks, and more. The size of this roll on lotion is a great size to toss in my bag and the menthol, peppermint, and eucalyptus in it soothe me nor aches in my muscles. This was such a lovely box! 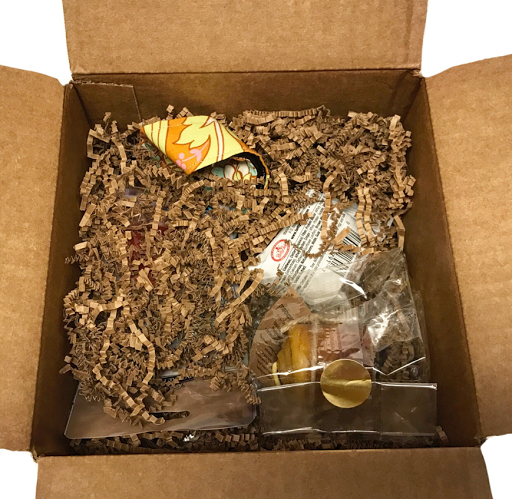 I really and truly enjoyed each item and I love how there was such a variety of products. These small businesses make wonderful items and I love this type of box because they highlight companies I probably would never have known about on my own. 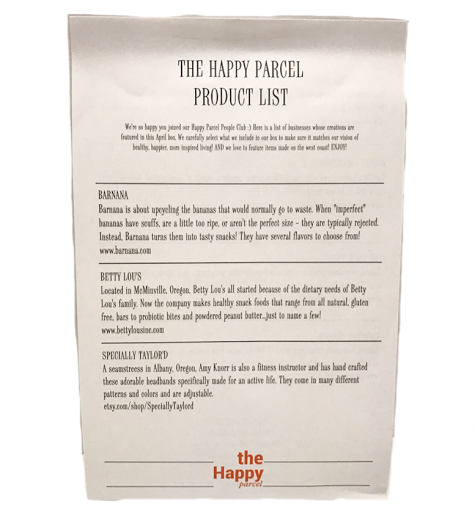 I look forward to seeing more from The Happy Parcel! Thoughts on this box? Share with us! Disclosure: While this box was received at no cost in exchange for a review, it is honest and unbiased. All thoughts and opinions expressed are solely my own.